Let’s say you want to play around with images in Python. To do that, we need a Python package that can handle all the image manipulation. 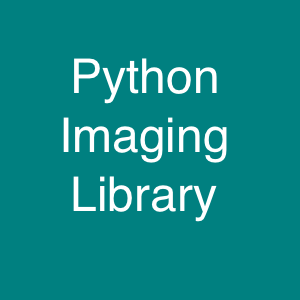 Python Imaging Library (PIL) is one of most popular libraries that is used to process the image data. Actually, people use Pillow now, which is a modern repackaged version of PIL. It has a lot of nice functionalities and it works well. Let’s see how you can install PIL on 64-bit Ubuntu 12.04. I see some errors. What do I do? Here is the solution to some of the common problems you might face. To add a missing option, make sure you have the required library, and set the corresponding ROOT variable in the setup.py script. This entry was posted in Programming and tagged Images, Linux, OS X, Python by Prateek Joshi. Bookmark the permalink. The directory ‘/home/kunal/.cache/pip/http’ or its parent directory is not owned by the current user and the cache has been disabled. Please check the permissions and owner of that directory. If executing pip with sudo, you may want sudo’s -H flag. The directory ‘/home/kunal/.cache/pip’ or its parent directory is not owned by the current user and caching wheels has been disabled. check the permissions and owner of that directory. If executing pip with sudo, you may want sudo’s -H flag.